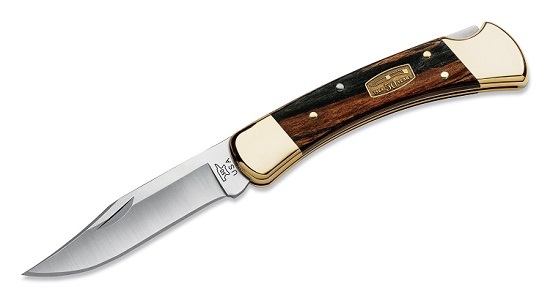 The Buck 110BRS pocket knife is one of the most genuine products especially for a knife collector. I am a recent addition to this category of enthusiasts, however, even in my short tenure I was impressed by the many reviews I have read about this product online. I decided to check the product out for myself and here is my concise opinion about the Buck 110BRS folding hunter knife. It is impossible to start a knife-collecting hobby and miss one of the most popular brand names in American knife industry – Buck was familiar to me. However, I never imagined the sheer volume of options that is available in every category – Hunting, fishing, cooking amongst others. This volume of course comprised of many other brand names as well – including Japanese brands with similar features. However, I picked up the Buck 110BRS. beginning the collection with a domestic market find. Buck knives are a renowned American knife producers based out of San Diego. The company has been active since more than five generations. They manufacture sporting and fielding knives majorly and they have been credited with the development of the foldable hunting knife. In fact, it is not uncommon, here in States, to refer to a foldable or lock back knives to be called Buck knives. With that kind of throwback branding, it is not a wonder that when I needed to purchase a foldable hunting knife, I directly stared with what is known as the industry best. Since the Buck 110 (1964) to Buckmaster (1984) to, the company has consistently produced various types of knives- serrated edges, prongs to function as a grappling hook, high tension, low-pressure mechanisms and much more. Buck 110BRS is a pprofessional hunting knife. The product has a natural handle (wood grain) with brass bolsters polished to perfection. The knife will complete 50 years n production so the 2014 versions will feature an anniversary medallion – it will read (1964 50 years). This makes an excellent gift for any special events for hosts who are avid knife collectors. The product also comes with a lifetime warranty. The customer feedback for the product has been generally positive. However, I did notice there was some general dissatisfaction amongst customers regarding the carrying material that comes with the blade. Buck provides a black leather sheath for the product. According to me, the material of the sheath does fail a little bit in comparison to the quality of the blade. Yet, the enigmatic features of the knife make up for the situation greatly. In conclusion, the Buck 100 pocket knife is elegant and extremely functional. It supports the brand quality and you can easily understand why it has been popular for over 50 years and still gets a 5 star rating. can you tell me what the 4-dot and the x mean on the knifes?